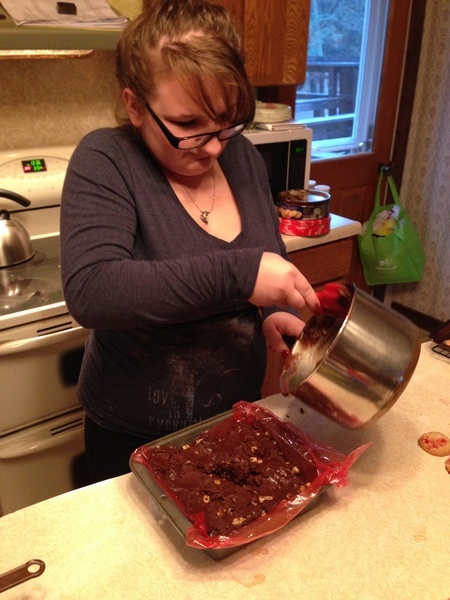 Jessica found a recipe for Rudolph cookies. It’s a peanut butter dough which is shaped into deer heads and baked. 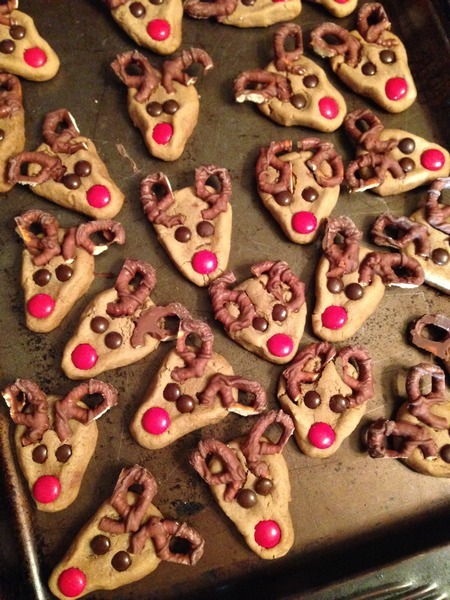 After baking, we pressed halved chocolate covered mini pretzels for antlers, and M&M’s for eyes and nose into the still hot cookies We let them cool in the unheated garage to firm up the chocolate quickly and ended up with fifty Rudolphs. There was exactly enough red M&M’s in the bag. The cookies are adorable and tasters said they were delicious. Being the Rudolphs went together so fast, we also baked a crispy peppermint cookie, made two pans pf peanut butter fudge and two pans of chocolate walnut fudge. One of the walnut fudge pans had the leftover crushed peppermint in it too. Wes said that was delicious. It was a fun afternoon, spending time with one of my favorite people and being productive too.